An ordinance to raise the minimum wage in Kansas City will not be on the April ballot, but will likely go before voters in August. An ordinance seeking to raise the minimum wage in Kansas City to $15 an hour by 2021 failed to get enough votes from the city council to make it onto the ballot in April. Rev. Dr. Vernon Howard was visibly upset at the Kansas City Council's decision Thursday not to put a minimum wage ordinance on the April ballot. “To experience and see this Council continue to push forward projects all across this city valued at millions and millions and millions of dollars and then to deny the residents who are the most afflicted an opportunity for simply two or three or four more dollars per hour, and this mayor and council again has let them down,” Howard said. The proposal was initially introduced in 2015. Back then, the City Council declined to put it on the ballot because it would’ve contradicted a state law that prohibits municipalities from enacting a minimum wage higher than the state's, which is $7.70 an hour. But this week, the Missouri Supreme Court said the city had to put the issue before voters, because it was brought to the council by a citizens' petition initiative. Kansas City’s charter allows for initiative petitions, which citizens have used to try to get everything from transit to marijuana on the ballot. In the past, the Council has blocked initiatives that were likely to violate Missouri law. Several council members, including the 3rd district's Quinton Lucas and Jermaine Reed, believed the Council would agree to put the measure to voters in April. But the ordinance did not receive enough votes to be discussed by the full Council, and was instead sent back to a committee. “It is a needless and unnecessary delay of democracy and a needless and unnecessary delay of a potential economic opportunity for the working poor in this community who suffer more than anyone else," Howard said. Kansas Citians will still get to vote on this issue, as it will very likely be on the ballot in August 2017. If it passes in August, the ordinance could still be challenged in court. Lisa Rodriguez is the afternoon newscaster and a reporter for KCUR 89.3 Connect with her on Twitter @larodrig. The Missouri Supreme Court says Kansas City voters deserve a chance to weigh in on a higher minimum wage. Last fall the City Council declined to put a minimum wage hike on the ballot because it would’ve contradicted state law. 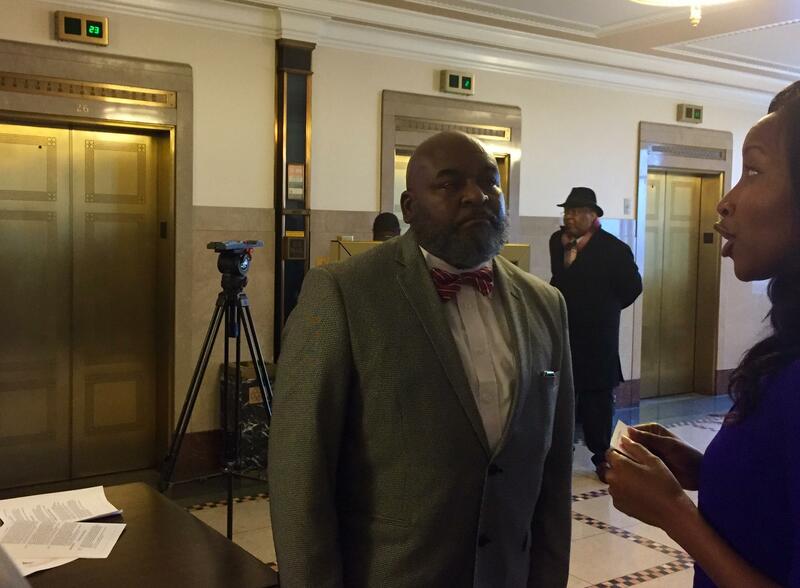 “We often try to make sure before we’re putting something on the ballot it’s something that could be legally enacted in Kansas City, Missouri, thereafter,” Councilman Quinton Lucas says. But Lucas, a lawyer, says Tuesday’s ruling turns that thinking on its head. 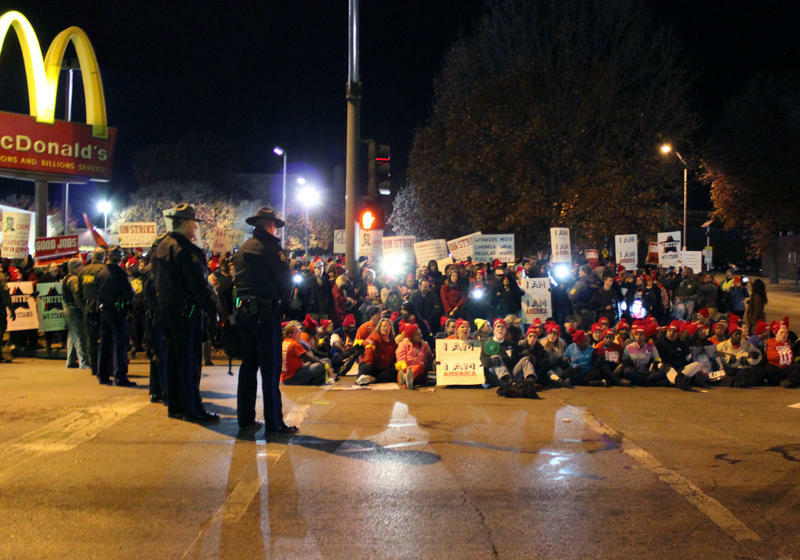 A sea of red beanies, T-shirts and flags filled the median at 63rd and Paseo in Kansas City Tuesday night as more than 400 people gathered for the final phase of the "Fight for $15's Day of Disruption." Workers nationwide celebrated the fourth anniversary of the Fight for $15, and the $61.5 billion low-wage workers have reportedly earned since the movement launched in 2012. Low-wage workers nationwide are continuing their fight to raise the minimum wage and have a voice in the workplace. On this edition of Up To Date, we talk about the important role women play in the labor movement, back in the 60s and today.